Georgia based Century Fire Protection, LLC is teaming with CV Technology, Inc. (Jupiter, FL) to provide manufacturing and processing plants better service, faster response times and cost savings for Explosion Protection Systems. Historically, explosion protection equipment manufacturers have gone to market through equipment dealers, leaving end users on their own to install the systems once they were purchased. Now, Century Fire Protection offers complete electrical and mechanical installation of CV Technology explosion protection systems. Century Fire Protection will also provide inspection and maintenance services for CV Technology equipment and will be the first authorized distributor for their line of fire and explosion protection systems. With this arrangement, the two companies can be more responsive to customer needs and provide cost savings when plants need maintenance and repairs on existing systems. Georgia is one of the states leading the nation in regard to dust explosion regulation and is central to the Southeast, yet another reason the partnership makes perfect sense. 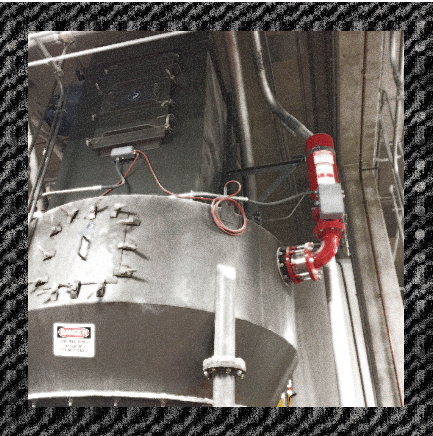 Century Fire Protection’s Alarm and Special Hazards Division in Duluth, GA provides installation and service of explosion protection systems and other specialty fire detection and suppression systems.